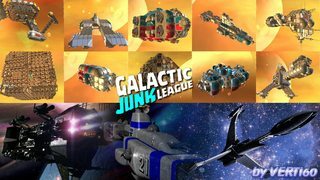 first of all, we’d like to say a big THANK YOU for supporting Galactic Junk League. Unfortunately, our space battle has come to an end and we sadly have to announce that the game will be deactivated in 90 days which also includes the option of contacting customer support. Please note, that in-game payments have already been disabled. Fighting with you in the space arena has been an epic experience and together we have built many magnificent ships. However, these kinds of decisions are sometimes inevitable, even in post-apocalyptic worlds. Once again, thank you very much for your support and and we hope to see you all later, maybe in some other Pixel Federation game! Re: Farewell & thank you for everything! GJL was my favorite game for the past 2-3 years, it's sad to see it leave, but perhaps we can revive it on fan base level. Question is, what will happen to the site and infrastructure (FB, steam). Can we still use it after 90 days? We are still active on Discord though. Definitely sad to see such a jewel not getting the success it should have deserved. Did screenshot all my ships before the void, I am really happy and feel lucky I could enjoy this game before the end. A) Selling the licence and the game to another company ! Did you approach some big players like Riot Games to try sell them an "almost complete" new moba game ? If you really let it down as well try sell it no ? B) Managing with fans and maybe some people within your company to create like Verti suggested a "survival" version keeping it alive on a more modest server with less options and just a "safe point" we use to reboot game from time to time ? Anyway and whatever happens, a huge THANK YOU, I definitely don't regret to have supported you a little. I will keep my feeling this game has (had) the potential to become a master hit similar to League Of Legends, even if did not happen you did an amazing job, be super proud.